It’s no surprise you’re curious about a career in information technology (IT). 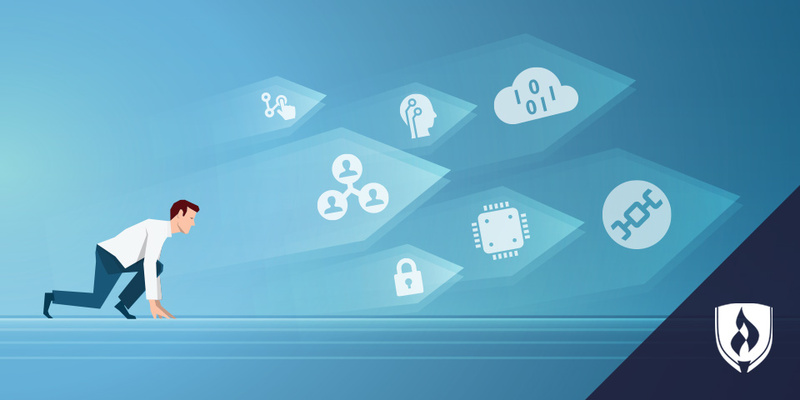 Computers, and the networks connecting them, play a vital role in nearly any business or organization. This is reflected in the rapid job growth currently underway in the technology industry. That’s enough to pique most anyone’s curiosity. But when it comes time to apply for these jobs, it’s not uncommon to run into the age-old catch-22: I can’t get a job without experience, but I can’t gain experience without getting a job. This is always a frustrating dilemma, but you’re not the only one dealing with it. Career fields such as IT that rely on precise technical skills often want proof that candidates can actually deliver before they hire. IT isn’t a field of abstraction. While knowledge certainly matters, the real bottom line for hiring managers is what you can do. This could be why so many entry level IT jobs still expect their candidates to have experience. So what you need is a way to show employers that you can walk the walk. 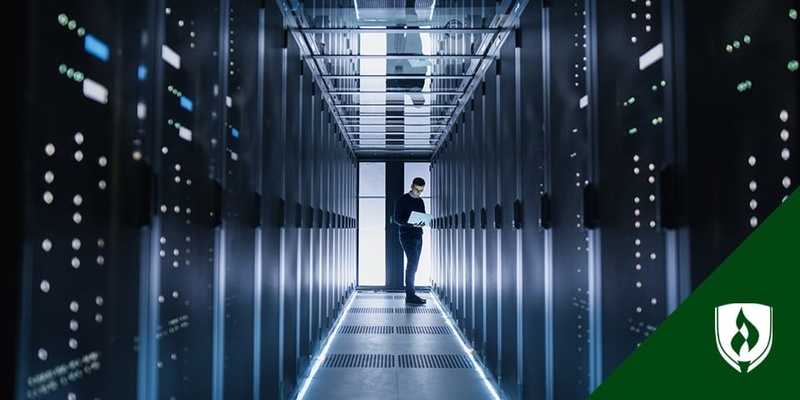 Computer systems and networking equipment are upgraded so frequently that businesses, schools and even consumers often give away outdated equipment. Obtaining used equipment can provide great material for practice and experimentation. Getting your hands dirty on projects at home will allow you to hone your skills without the fear of damaging a company’s expensive investment. Once you feel comfortable on your own equipment, expand your services to your friends or family. It might not seem like a big deal, but helping a friend recover from a computer virus or setting up a wireless router for a family member’s small business are examples of tangible ways you can demonstrate and hone your expertise. When you’re just getting established, every bit of tangible experience counts—you just need to actively seek it out. Earning industry certifications is a great way to gain and showcase your IT experience before getting hired somewhere, according to Anthony James, CEO and Founder of Linux Academy. “Students gain skill sets in a specific technical area and receive a credential within a matter of days,” he adds. 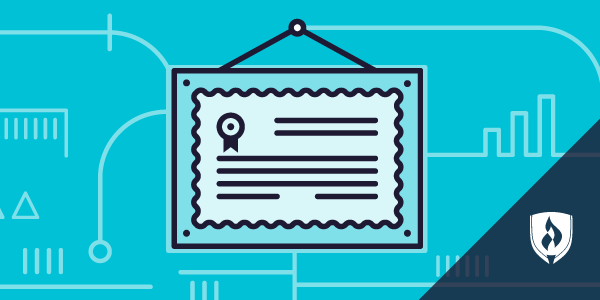 These certifications don’t have to be extensive in time or effort either. Some precise skills can be earned in the form of micro-certifications, which are essentially badges that signify you possess a certain skill. 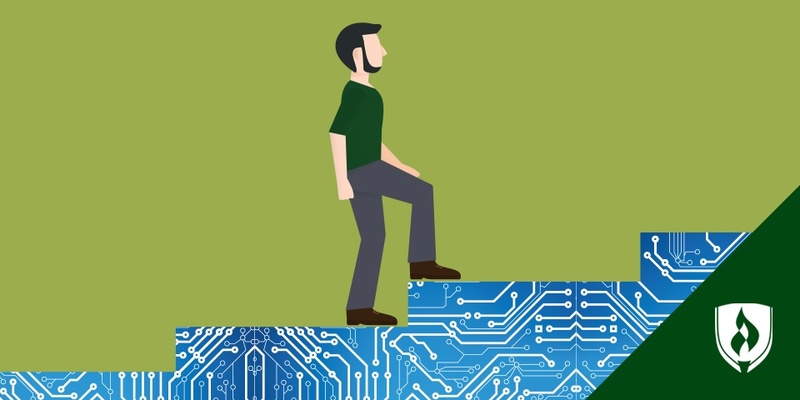 James cited a recent Linux Academy survey of 6,000 IT professionals in which 94 percent of employers said they believe micro-certifications give entry-level candidates an advantage. And it’s not just for the rookies either. IT certifications are often necessary even among seasoned professionals in the field to stay current with technological advances. So you might as well add a few to your resume now. Passing these industry exams also helps showcase a specialized area of technical study. Similar to the “just get your hands dirty” idea, volunteering allows you to build IT experience along with a collaborative, team-oriented attitude. One great way to do this is by volunteering to help small businesses create a new program, web site or mobile app for free, according to Joanna Buickians, VP of Operations at JBA Talent. “Small businesses generally are open to receiving free help,” she says. Charities are another great place to offer your services, suggests Bernard Morgan, General Manager of Computer Recruiter. “[It’s] a great way of showing a potential employer that you have acquired hands-on experience and that you are willing to go the extra mile,” Morgan says. As compensation for your work, ask the business or charity for a statement of recommendation you can highlight in your job search. “For information technology students who prefer a more organized approach, the best way to gain industry experience prior to graduation is an internship,” Landers says. And don’t stress about whether or not the internship comes with cash or school credit. Checking out local job boards and seeking out your school’s career resources are good places to start. But don’t be afraid to reach out to local companies without visible internship job postings. Sometimes a company could benefit from an intern but hasn’t yet considered the need for one. You’ll never know unless you ask, so being proactive is always a good idea. Never underestimate the power of meeting in person—especially in the tech industry. IT is a surprisingly collaborative field, so candidates who can represent their ability to connect with other professionals (e.g., dropping a comment like “my mentor suggested…” in a job interview) will stand out from candidates who go it alone. “Go to professional networking events for the areas you want to get into,” Buickians advises. Whether for BSA, project management, software engineering, QA or another niche, it’s helpful to learn about the projects these professionals are working on and think about ways you may be able to help them. Consider asking to shadow them if they’re open to it. “You may also find a mentor to help you in your career development,” she adds. Forming professional relationships is also a great way to keep a pulse on what’s happening in the IT industry. If you are unsure of where to start, do some research on IT events in your area. Follow industry leaders and organizations on social media and maybe even reach out to some directly. Many professionals are happy to share their wisdom and career advice with the next generation of tech pros. Landers says he wishes more students would reach out. Best of all, tech job opportunities and salaries increase with education level, so you could enjoy more options and better earning potential once equipped with the proper credential. If concerns like these are holding you back from offering your work to a nonprofit organization, cold calling a professional for advice or even from buying up some old computers and tinkering around, Landers says you should shake it off and take a leap of faith. 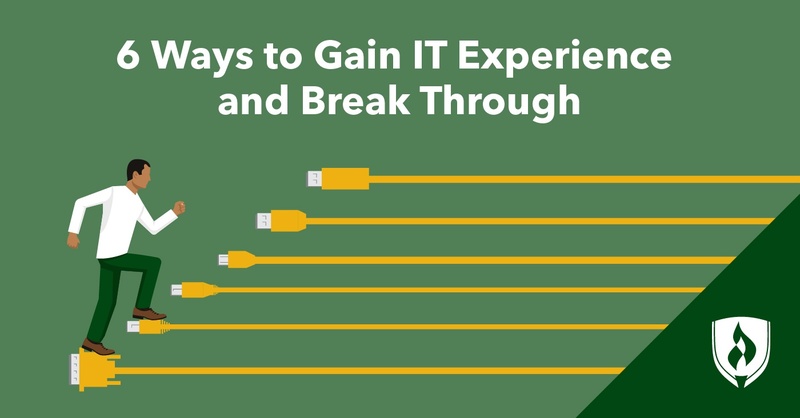 Many of these methods for gaining some IT experience won’t require a large commitment of time or finances. EDITOR’S NOTE: This article was originally published in December 2010. It has since been updated to include information relevant to 2017.